When I was in high school I thought soy was a health food. I ate soy protein powder. I ate “soynut butter.” I was soy stupid. No clue about health dangers of eating soy. Here I want to look at just a few of many hidden dangers of eating plant-based foods: enzyme inhibitors, endocrine disruptors, and saponins – epitomized by the soybean. Whenever you eat food special enzymes break down large molecules of protein, carbohydrates, or fats, into absorbable forms. If these enzymes get blocked, digestion gets disrupted. Plant-based food like the soybean come “prepackaged” with enzyme inhibitors. These enzyme blockers can have adverse effects that can result in malnutrition as well as gut inflammation that can lead to leaky gut and all its associated pathologies. Protease inhibitors are one class of enzyme inhibitors that interfere with protein digestion. For example, wheat has protease inhibitors that not only block the breakdown of proteins but can also trigger an innate immune response as seen in people with Celiac’s Disease. In addition, people without Celiac’s can have an immune response. Because wheat also has amylase trypsin inhibitors that cause intestinal inflammation by activating a specific receptor (called toll-like receptor 4). Amylase inhibitors interfere with starch digestion. Lipase inhibitors interfere with the lipase enzyme which helps digest fats. Like the antinutrient phytic acid which interferes with micronutrient absorption, enzyme inhibitors disrupt macronutrient digestion. A soybean is a seed. Just like grains and nuts are seeds, so too are beans. Like the seeds of other plants, soybean plants don’t want predators to eat their baby offspring. The trypsin inhibitors fall under the broader category of “Protease Inhibitors” which disrupt protein digestion. But interference of protein digestion from trypsin inhibitors is just one of many issues with eating soybeans. Along with the antinutrient effects from its enzyme inhibitors, soybeans also contain isoflavones which are a major source of phytoestrogens. These isoflavones aid in plant defense and are great fungicides. When a soybean plant is under attack by a fungus, it can even upregulate production to strengthen its defense and kill the fungus. While perhaps designed to ward of fungus, they should also ward off humans. Molecularly, these isoflavones look very much like estradiol. Thus, it confuses our body and has estrogenic effects. These phytoestrogens have the potential to inhibit testosterone production and increase estrogen. [r] There’s evidence that this can also interfere with fertility by reducing sperm quality. In addition, phytoestrogens in soy formulas put infants at risk for growth problems and altered sexual development (especially if the is premature). If we just look at the urine levels of babies fed soy formulas, we see that they have up to 500X more isoflavones. Because it’s in the urine we know it is being metabolized, traveling through the body, and potentially causing serious consequences. 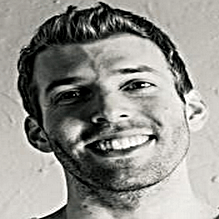 If you want to have children (men especially) you should think twice before eating soy. And if you have children (especially infants), you should really think twice or three times about feeding them soy. Soy can also cause problems with the thyroid. Soy can mimic and mess with hormonal function. A major source of saponins in the human diet come from soybeans. Saponins help protect plants from microbes and fungi. But humans voluntarily eat them. Saponins are natural pest control that are bitter making them less desirable to eat by bird, insects, and humans. Perhaps we should take the hint. From about the year 2000 to 2010 soybeans changed. In the beginning of that decade less than 10% of soybeans were genetically modified. By the end of it, over 90% were. Soybeans are engineered to be resistant to glyphosate. This enables farmers to spray the crops with RoundUp and the chemicals kill the weeds but not the genetically modified crops. As I’ve talked about before, this can have serious impacts on human health. Because while the crops may be engineered to survive glyphosate, we aren’t. The high antinutrient concentrations in soy are a health concern to humans and livestock. In order to limit their damage, food processors do the best they can to reduce the damaging chemicals. Soybeans are soaked which can reduce tannin levels by about half, but doesn’t do much to decrease phytic acid or trypsin inhibitors. [r] Then they are often boiled and/or roasted to try and reduce antinutrients further. Fermenting with fungi and bacteria can help too. But all this processing also comes at a cost. It can damage essential amino acids making it difficult or impossible to digest and assimilate. [r] So food manufacturers are tasked with the impossible: cook soybean enough to reduce the antinutrients but not too much. An impossible balancing act. Just like other seeds, instead of trying to process away offending chemicals, I just don’t eat soybeans. They have enzyme inhibitors, endocrine disruptors, and saponins that can cause problems to human health. Like lectins they can cause gut issues, hormone mimicry, and autoimmune issues. An interesting perspective is that there is a really high incidence of soy allergy. Many peoples’ bodies go on an all out attack when consumed. Not only that, but raw soybeans are toxic to all monogastric animals – and we humans are monogastric. 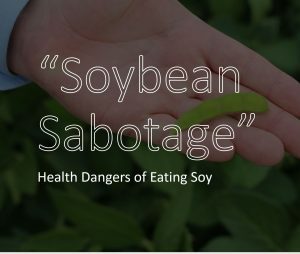 Evidence suggest that we are not designed to eat soybeans – and enzyme inhibitors, endocrine disruption, and saponins are just a few reasons why. Hello Kevin. Very detailed and synthetic. I’m going to look in the tangle of books -on paper- of Taoism and Chinese Medicine for the comment that they don’t eat beans, in the same way as in the West. Neither the quantity, nor the way to prepare it. This situation is the same as with the Hindu cuisine. They prepare food in ways that perhaps we Westerners do not want to do because we believe they are ancient customs. It resembles the taking of the root of Rehmannia. Its effects are not the same if it is specially prepared or eaten raw.